Remember I posted a blog showing you a cool video sometime ago about 25 ways to wear a scarf (created by Vblogger Wendy)? However you probably found it was too fast with 25 ways in one video. So Wendy has created a few more companion videos to show you how to do each style! Isn't that cool? Let's get chic and have fun together!! I must admit when all these unique prints started hitting fashion stores, I was seriously surprised! Why, you may ask? Look at Zara and H&M, they’ve been providing us with the minimalism concept since forever. However, I still stand by the fact that unique prints must be mixed and matched appropriately with such basics. As summer is hitting up, lists of parties are getting a little out of hand, might as well party it up with some fun prints! 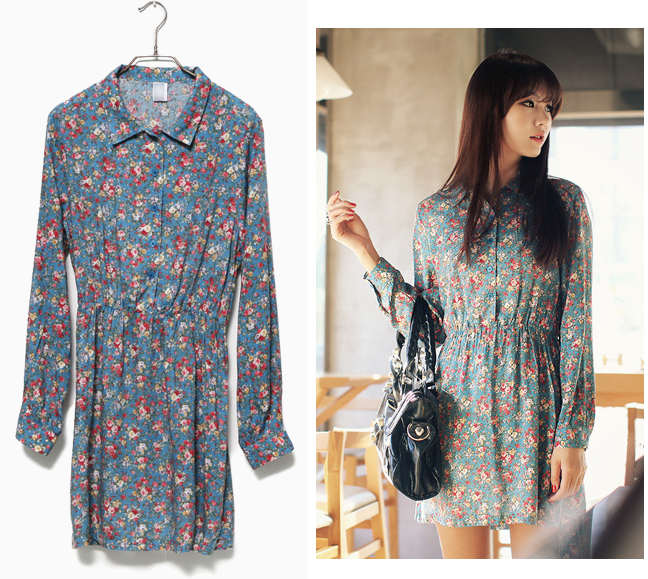 One of the classical prints that I absolutely adore is the Baroque print. Renaissance has always reminded me of Queen Elizabeth I of England – one of the most admirable women of the century. Her dresses were made from the outmost fashionable perfectionists of the time. Besides, there are many unforgettable artists from the Renaissance such as Michelangelo and Leonardo da Vinci have inspired many various prints for most Baroque prints in our time. 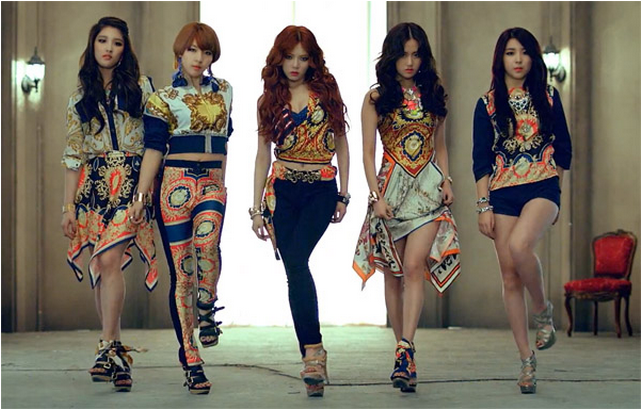 I was more attracted to their outfits instead of the song itself. They were ah-ma-zing! All of their Baroque outfit (as above) could be worn in a daily basis or to formal events once you add some minimalistic jewelry to pump the outfit up. On the other hand, there is the one and only Emma Watson. Emma is always seen wearing the latest trends (or otherwise, setting the trend). In this year’s MTV Awards, we saw her wearing a cute dress with neutral colours. Her choice of a dark neutral-coloured dress paired up with simplistic, traditional stilettos and similar concept bangles emphasized the dress’ unique T-back. The only detail I did not like was the cutting around the neck and the leather stripes, though I do think it might only be a poor photo. 1) Print patterns can be clashed however, you should always opt for colours that go together such as navy and red, cream and beige etc. 2) Consider your figure and height whenever choosing prints. Avoid choosing prints that places emphasis on your ‘bad parts’. If you are tall, you can always opt for a fantastic printed maxi dress. If you are short, a good option is a cute print bandeau-like top with a plain colour skirt or shorts. 3) Do not over accessorize. 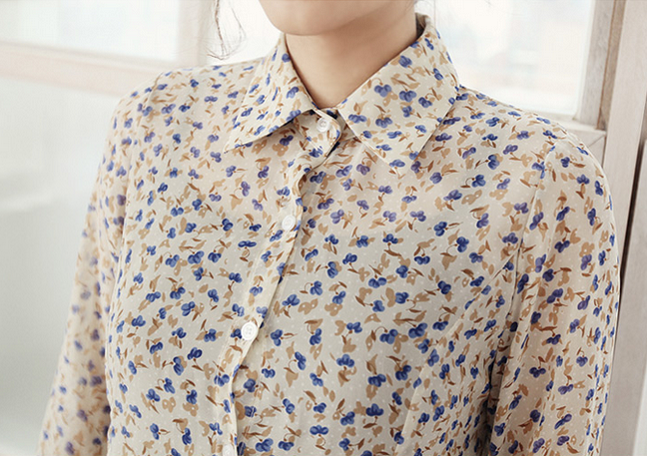 A great print does not need a heavy necklace or a ‘bejeweled’ person. 5) With your make-up, if you’re up for an occasion, go for the smoky eyes or a bold lipstick colour. My personal favourite is M.A.C.’s Lady Danger, a vivid bright coral-red matte which suits any event! Well, if you are not quite sure if you want to carry the prints all day, then how about spice up your basic with lovely prints scarves whenever you feel like "needing" some prints. We have some unique and lovely prints scarves that is hardly found in the high street: vintage postcard prints, ever loved dots, coloured leopard spots. Do you have any special prints you would like to share with us? 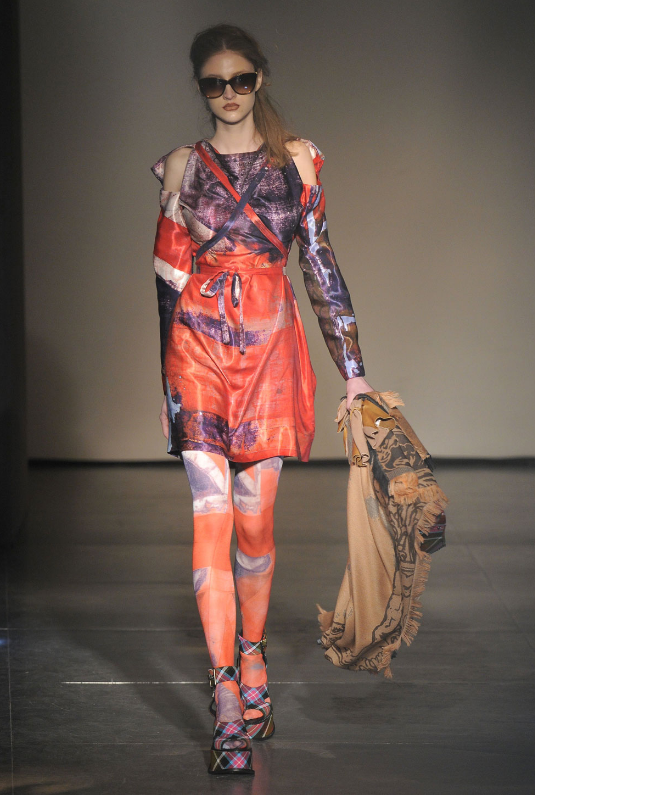 Vivienne Westwood has also shown her love for the UK by offering her own design by translating the Union Jack into a wealth of neon colours for her London catwalk shows this year. How about you? 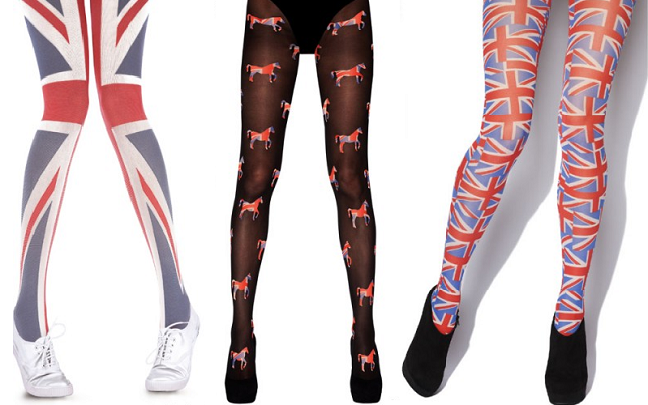 Would you show your patriotism by wearing an union jack tights in the name of fashion and how do you wear it? Please share! Love & Peace to all my UK friends and to everyone in every corner in the world! !